Why is Johnny Depp's career still successful? Depp’s been able to stay in demand despite onscreen choices that have been as weird as his life offscreen. The first thing to talk about when talking about Depp’s career is Pirates of the Caribbean. Pirates holds two contradictory positions of honor for Depp. On one hand, it’s by far the most lucrative thing he’s ever been a part of, having grossed $3.7 billion worldwide through its first four installments, with the newest likely to add another billion and change to that number. On the other, the role of Jack Sparrow also, unbelievably, garnered Depp his first Oscar nomination in 2003, a nod that paved the way for two more in the coming years—one for the similarly fanciful Sweeney Todd, and one for the more subdued Finding Neverland. But Pirates instantly transformed Depp into an international star—the kind of rarefied actor who could carry the burden of a worldwide hit, in a part that was inseparable from himself. To put it simply, there aren’t many of these actors in Hollywood, and they certainly aren’t sprouting up like they used to. As overseas markets have developed, Hollywood has gone after foreign dollars by investing in spectacle and familiar IP more than new faces. The new stars these days are men (and it’s almost always men) who occupy the lead roles in Marvel and The Fast and the Furious movies. Guys like Depp, Cruise, and DiCaprio—stars who are recognizable in their own right, no matter the costume—are far rarer, and their high profile actually makes them more valuable in terms of the overseas market than they are domestically. Consider Matt Damon’s The Great Wall and Tom Hanks’s Inferno, two films that flopped domestically but pulled in around 85 percent of their worldwide gross overseas. Yes, the Chrises are massive thanks to their superhero work, but try putting any one of them in The Revenant, The Wolf of Wall Street, or The Great Gatsby and see if they can push those films past $200 million overseas—a feat DiCaprio managed with all three. As long as Depp has Pirates, he’s one of those stars—even if the rest of his filmography might tell a more complicated story. The massive success of Alice in Wonderland (another Tim Burton collaboration) in 2010, which made a strong $334 million domestically but an outstanding $691 million worldwide, seemed to cement Depp as an international sensation. Last year’s sequel, Alice Through the Looking Glass, burst that bubble, seeing those numbers drop to $77 million and $222 million, respectively, though it’s hard to blame that gap solely on Depp. The six years between movies, the sequel’s lower quality, and its insufficient reason to exist, to put it mildly, had far more to do with its disappointing numbers. But Alice also hints at one of the major reasons why Depp keeps getting cast. There is a certain kind of audacious, campy, over-the-top character that Depp has a monopoly on; in fact, he’s pretty much punted on any movies that don’t require him to go to such hyperbolic lengths. And while there are parts that could conceivably be played by either DiCaprio or Pitt, Cruise or Mark Wahlberg, Matt Damon or Ben Affleck—or, for that matter, any of the Chrises—it’s hard to imagine any other middle-aged star competing with Depp for, say, the Mad Hatter. And as Jack Sparrow, Depp is the rare leading man who’s essentially immune to the threat of recasting. No other franchise is as dependent on one actor: Depp simply is the Pirates series. He can be as much of a diva as he wants, but as long as Disney wants to keep making Pirates movies—and judging by this weekend’s box-office returns, they do—they need him to come to work, no matter how late he is. Combined with his overseas appeal, this makes Depp an alluring prospect, even as he continues to rack up yachtloads of bad press. If you have a certain type of eccentric, larger-than-life character, and you need to make him work within the constraints of a blockbuster that will play as well in China as it does Ohio—in other words, a character who’s weird, but not weird enough to be played by Joaquin Phoenix—Depp is probably your guy. And even as his movies seem to bomb more and more often, with Dark Shadows, The Lone Ranger, Transcendence, Mortdecai, and Alice Through the Looking Glass all underperforming since the last Pirates movie, it’s just as easy to blame their failures on the weakness of the specific material as it is to pin it on Depp. 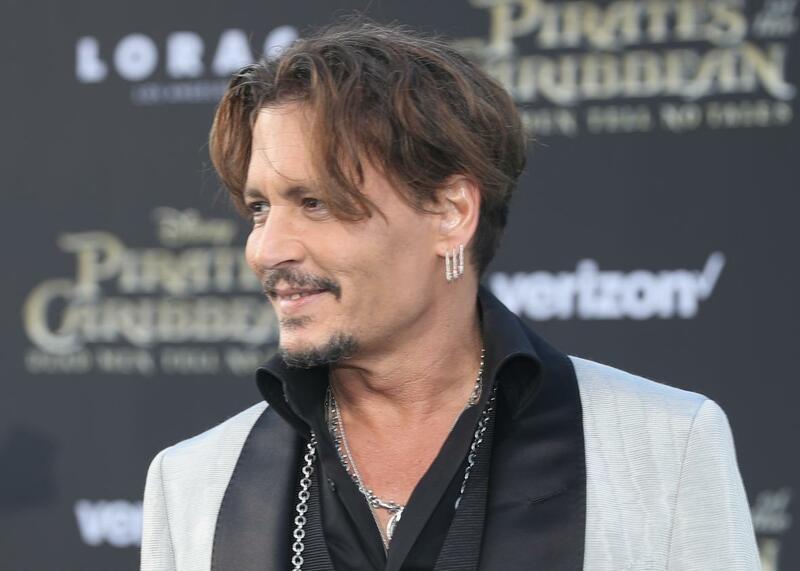 As long as Pirates still feels relevant, Depp will remain a valuable commodity, and if any of his upcoming projects manage to make an impact, it could be enough to erase the bad memories of the past five years. Earpiece or no earpiece.